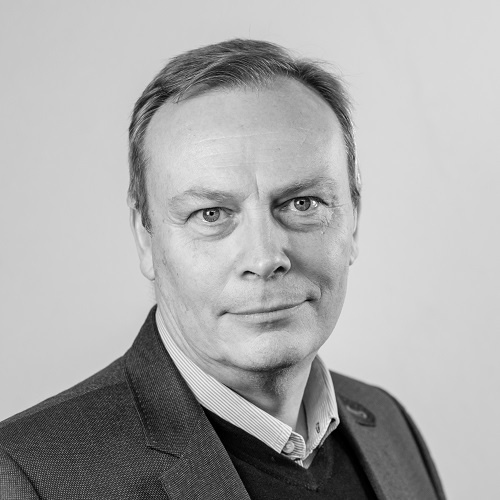 Stephen has over 30 years’ experience of marketing, sales & strategy, specialising in B2B (business-to-business.) He believes that B2B is really P2P (people-to-people) and he thrives on building talent amongst the next generation of marketers. A strategic thinker with a bias for pragmatic, commercial decision-making, he drives change across organisations of all sizes in pursuit of enhanced business results. A natural collaborator, he establishes strong working relationships and builds trust by keeping promises and delivering top- and bottom-line impact. A Fellow of the Chartered Institute of Marketing and a Business School lecturer, Stephen has the broad expertise vital to help any business achieve their growth ambitions. $4 billion B2B division of Kimberly-Clark Corporation manufacturing a broad range of hygiene and PPE solutions. Leading frontline EMEA marketing teams to deliver growth rates at twice the market levels. Delivering first global brand architecture & identity, first global website, first global CRM process & system deployment, and first globally-led marketing organization redesign. £6 million family-owned electric underfloor heating business. Development of new brand proposition and rationalisation of brand portfolio. Delivering strategic focus in fast growing £14 million family business, offering health & safety consumables to major Contractors in the construction industry. Development of new strategies to drive focus on key accounts, enhance customer experience and optimise cost to serve. Development of new brand proposition.